Step 1: open the application on your device, whether a smartphone or tablet. Step 2: now drop down the application’s menu which you’ll find on the upper left-hand side of the user interface. Step 3: scroll down to be able to browse through all the categories. Search for the Sports category. Step 4: once there, search for channels that offer live football match broadcasts and click on whichever one you like. The quality of the broadcast will mainly depend on the stream but also on the quality of your Internet connection. You can also resort to the built-in search tool available on the upper part of the interface using different keywords because if you type in a word it will search for that term in the name of the channel not in the contents that are broadcast. In other words, if you write soccer, it will only show you channels with that word in their name. 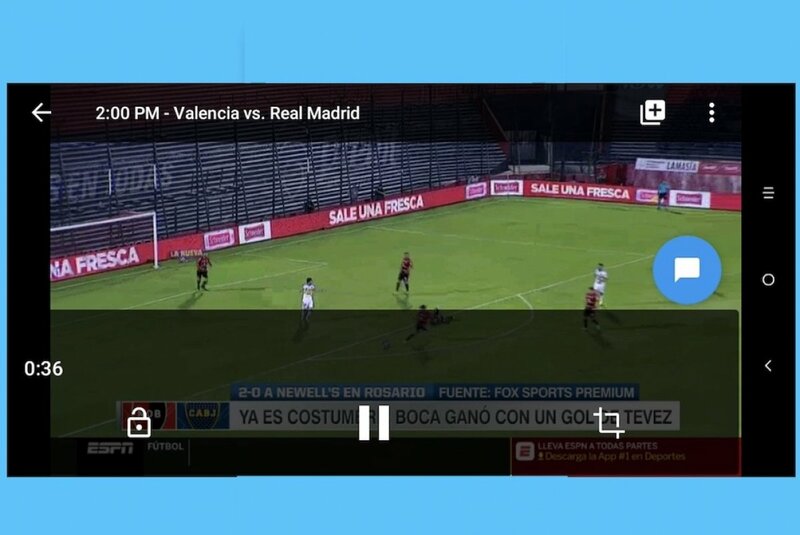 Once you’ve found a channel that broadcasts the football matches you’re interested in, you can bookmark it as a favorite. Thus, each time you open the app, you’ll be able to find it easily without even having to search. However, remember that certain channels aren’t of free access and watching them without paying a license could get you into legal problems. That’s one of the reasons why we can’t download You TV Player from the Google Play Store: it offers protected contents for free. What is You TV Player and what's it for? What's the password for You TV Player? Is You TV Player legal? Is You TV Player safe?